PDFTOPPM Software to Convert PDF to Image (JPG, PNG) in Linux. How to create image from PDF file for each page in Linux using PDFTOPPM a command line based program. This article will show you how to install PDFTOPPM and review about it. You can convert any PDF file to image using Terminal with PDFTOPPM. With pdftoppm you can converts any Portable Document Format (PDF) files to color image files in Portable Pixmap (PPM) format, grayscale image files in Portable Graymap (PGM) format, or monochrome image files in Portable Bitmap (PBM) format. The Pdftoppm stand for Portable Document Format (PDF) to Portable Pixmap (PPM) converter which allow you to read the PDF file, PDF-file, and writes one PPM file for each page, PPM-root-nnnnnn.ppm, where nnnnnn is the page number. Generates a PNG file instead a PPM file. PDFTOPPM is available through software channel or repository. You can install it from Software Center or using Terminal by typing these command. You can use PDFTOPPM after install by calling pdftoppm with parameter since it is a Terminal based application. 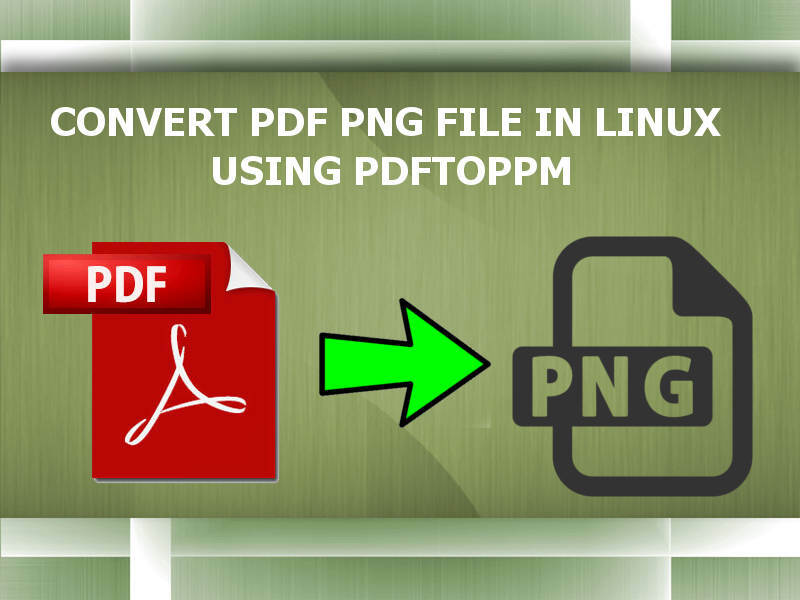 For converting PDF to jpg file in Linux, you need to convert the PDF to JPG first using pdftoppm. Then you need to open the GIMP and export it to JPG and done! This is the command to create PNG file from PDF file. Note: if the PDF contain 4 pages, you will have the numbered image file called output-1.png, output-2.png, ..., output-4.png depend on how many pages the PDF. Open the PNG file in GIMP then export it by clicking GIMP menu: File >> Export as >> select JPG on file type. Done! PDFTOPPM is the best tool for converting PDF to PNG or JPG or bitmap or PPM image format in Linux. This tool is easy to use and lighweight also fast conversion process because all things run on Terminal. This software capable to convert every each page of PDF to PNG perfectly.